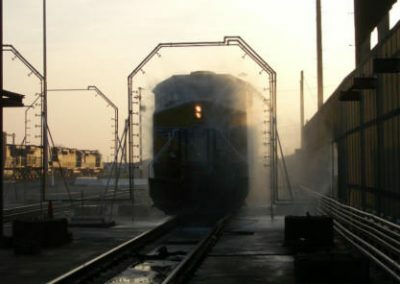 We work with rail companies and their contractors in Australia and New Zealand to achieve the most efficient train wash systems possible. The systems we supply and support are designed and manufactured by InterClean Equipment or Tammermatic Oy; both are global benchmarks in terms of reliability and efficiency. 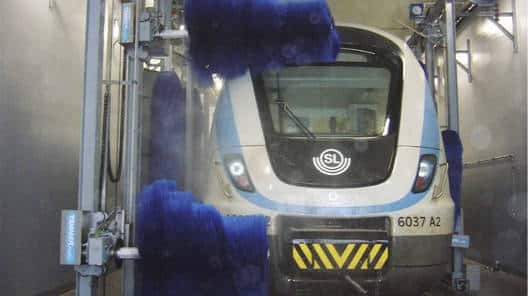 These train wash systems are successful here in Australia and New Zealand with both KiwiRail and Queensland Rail reaping the benefits of our expertise in this sector, but there are also working installations all over the world. 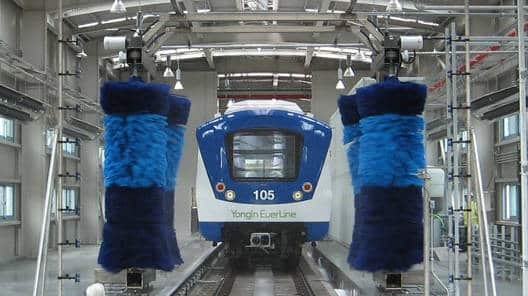 From Korea to Canada and the US, InterClean’s train wash systems are a global standard which others are compared to. 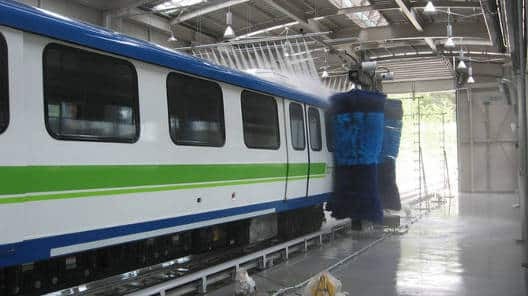 With applications tailored specifically for locomotive, light rail, transit and freight cars we have a wash system to suit your needs. 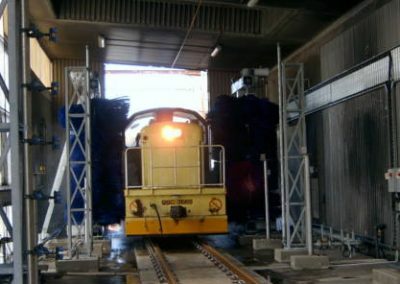 Boost efficiency in your rail operation with an InterClean train wash system. 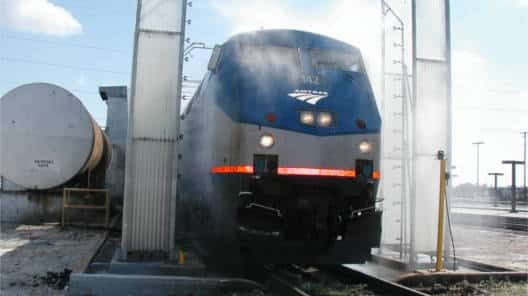 One of the hardest parts of a train to wash well is the front and rear. 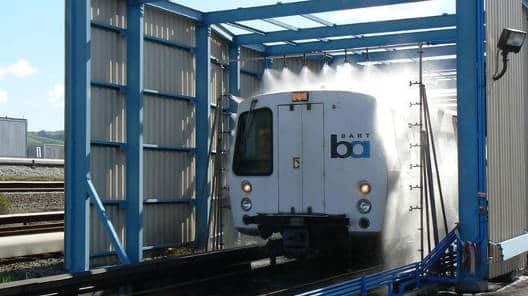 This is often because the train doesn’t have time to stop so the system has to wash the front and rear while the train continues moving. This is where a lot of other train wash systems fall down. They either have systems that are prone to dangerous failures or do a poor job. 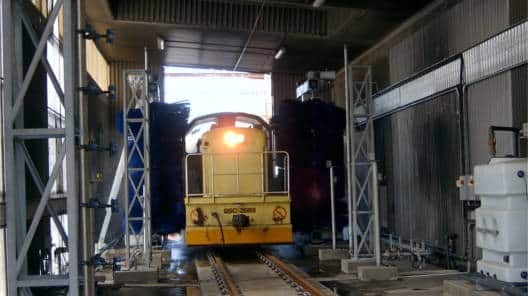 InterClean’s train wash systems excel in this department with a number of front and rear wash options. 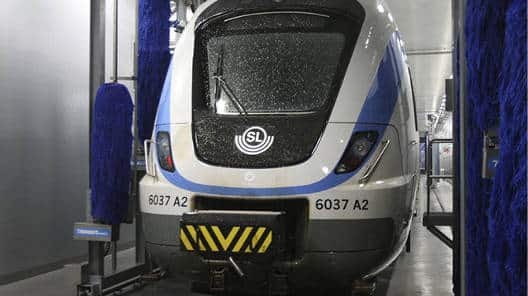 With multiple and double adaptive brushes that utilise world leading fail-safe functionality through to completely touchless front and rear wash componentry – you can be sure that your trains will get washed properly while the risk of an accident is minimised. 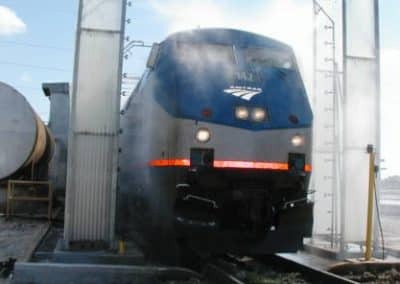 There are other companies out there that offer train wash systems but they don’t have the diversity of experience that we do. Take the time to watch the video on the left to see the diverse range of transit wash systems that we have experience with. 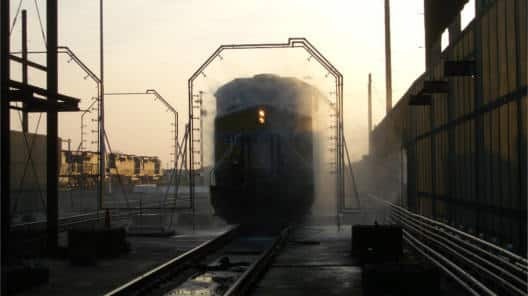 You don’t want people learning the intricacies of train washing as they handle your project – you want a supplier that knows what they’re doing – therefore, talk to us. The train and rail wash systems shown on the right represent some of InterClean’s many successful installations around the globe. The geographic diversity and variation of train types show just how experienced InterClean is at filling the diverse needs of many rail clients.